480-456-8888 | Top Reasons 3 Reasons To Trim Your Trees. A Professional Tree Trimming Company Knows That Tree Trimming Is About Improving The Health Of Your Trees, Reducing Liability On Your Property, And Ultimately Improving The Visual Appearance Of Your Commercial Property. 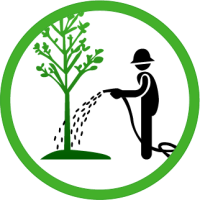 Appropriately Pruned Trees Are Stronger, Healthier, And More Attractive Than Trees Not Receiving Proper And Timely Tree Trimming. Tree Trimming Is A Common Procedure Of Professional Grounds Maintenance Companies Such As CAM Solutions. We Understand How And Why Using A Tree Maintenance Company For Tree Trimming Is Necessary And We Understand What Is Best For Your Landscape Needs. There Are Times When A Tree Can’t Or Shouldn’t Be Saved, And Our Tree Trimming Company Can Help You Make That Decision As Well. Always Remember That Each Type Of Tree Requires Trimming Expertise So You Should Always Consult An Expert Tree Trimming Company For Your Tree Trimming Purposes. For These And Many Other Reasons, Don’t Take The Job On Yourself, Contact A Professional And Licensed Tree Maintenance Company To Take The Work And Worry Away From You. As Trees Add Not Only Beauty But Value To Your Property, They Should Not Be Removed Without Careful Consideration And Input From A Tree Removal Company. A Diseased Tree Should Be Treated And Damage Assessed Before Tree Removal Company Services Are Performed. 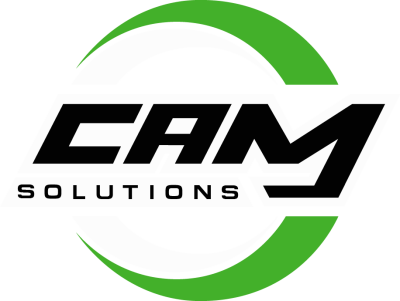 CAM Solutions Is A Highly Qualified Landscape Maintenance Company Available To Help Make Decisions On The Proper Time For Tree Removal. Our Professionals Provide Prompt, Reliable, Professional Tree Removal Company Services When Necessary For Your Commercial Property Needs. 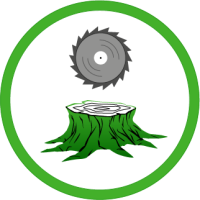 Our Employees Are Professional And Properly Trained To Provide Safe And Accurate Tree Removal Services, Using Only The Best Equipment Combined With Skilled Technicians Using The Most Professional Techniques Available. Please Consider Us For All Your Tree Removal Service Needs. We Will Be At Your Service With One Call. Once CAM Solutions, A Professional Tree Maintenance Company, Has Assessed Your Commercial Property And Has Determined That A Tree Needs To Be Removed, We Will Arrange For Removal And Disposal Of The Tree. The Most Difficult Aspect Of Removing A Tree Is The Task Of The Tree Stump Removal. For Commercial Properties, A Professional Tree Stump Removal Company Is Essential For A Number Of Reasons Including The Simple Fact That Stumps Are An Unpleasant Sight, The Important Fact That They Can Create A Hazardous Situation, And For Aesthetic Purposes As They Take Up Space That Could Be Used For Another Purpose Or To Add Beauty To Your Property. Our Stump Removal Company Technicians Will Assess The Tree Stumps On Your Property To Determine Which Technique Is To Be Used Most Effectively For The Tree Stump Removal. We Offer Reliable And Proficient Stump Removal Solutions For Our Stump Removal Company Customers.